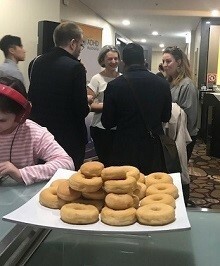 ADHD Australia had its inaugural Community Information Day directly after the Australian Profession Group (AADPA) Conference in July 2018 at the Novatel in Sydney. Over 100 members of the ADHD community joined us to share stories of resilience and success. We were fortunate to have expert speakers including Dr Michele Toner, ADHD WA Board President, Consultant and Coach; and Professor Mark Bellgrove, Director of Research at Monash Institute of Cognitive and Clinical Neuroscience; and Professor David Coghill, Child and Adolescent Psychiatry at The Royal Children's Hospital Melbourne. 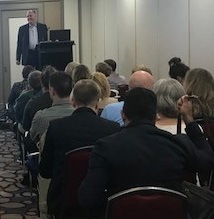 Each of the speakers gave us insights into various aspects of ADHD, the initiatives of the AADPA group as well as why the updating of the ADHD Clinical Treatment guidelines are an essential part of providing evidence-based common treatments for ADHD across Australia, respectively. We also heard from Ms Doris Hopkins and Ms Rimmelle Freedman, both from Parents for ADHD Advocacy Australia (PAAA), who spoke about their upcoming Parent/Carer Survey which is designed to capture the direct experiences of support for parents and care givers of students with ADHD, as well as their 'Rethink ADHD' Facebook awareness campaign for October 2018. ADHD Australia are planning other Community Information Days and we look forward to meeting more of the ADHD community at these events.